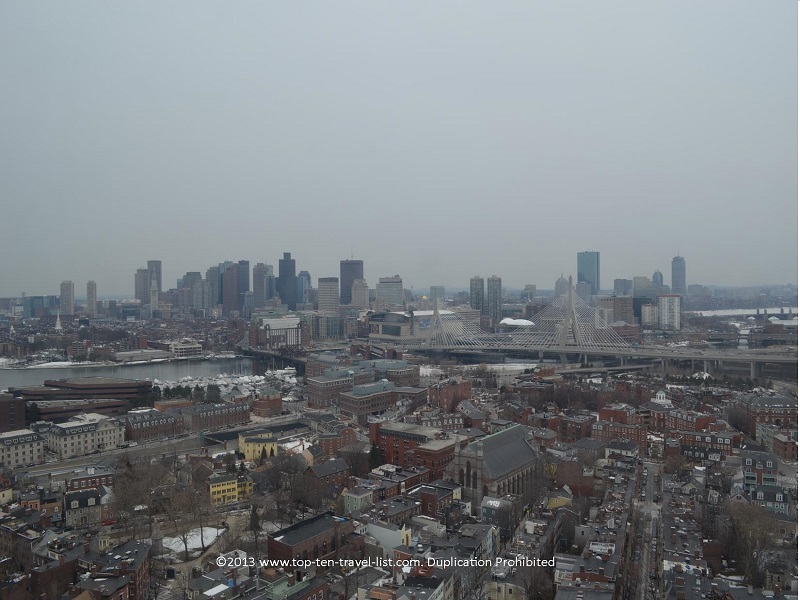 The Freedom Trail: Exploring Boston's Past - Top Ten Travel Blog | Our experiences traveling throughout the US. 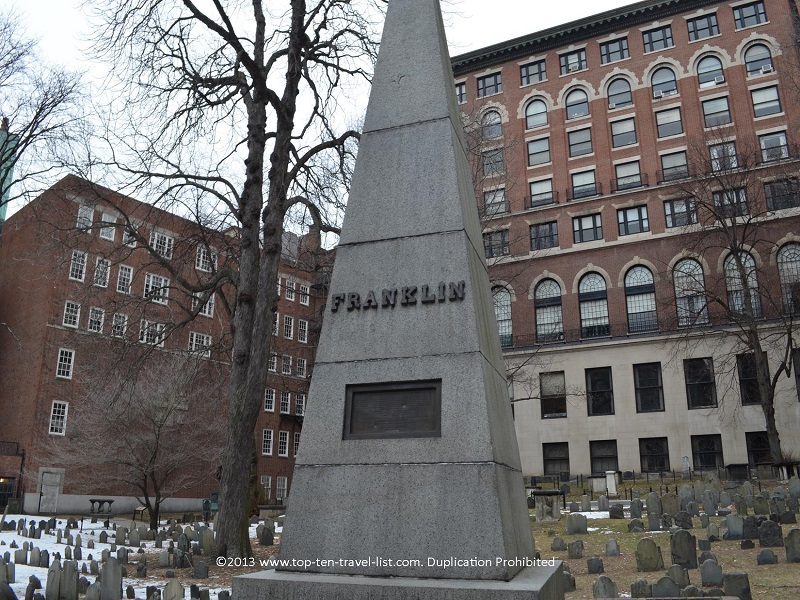 One of the best ways to explore Boston’s rich history is by embarking on the 2.5 mile journey along Boston’s historic Freedom Trail. 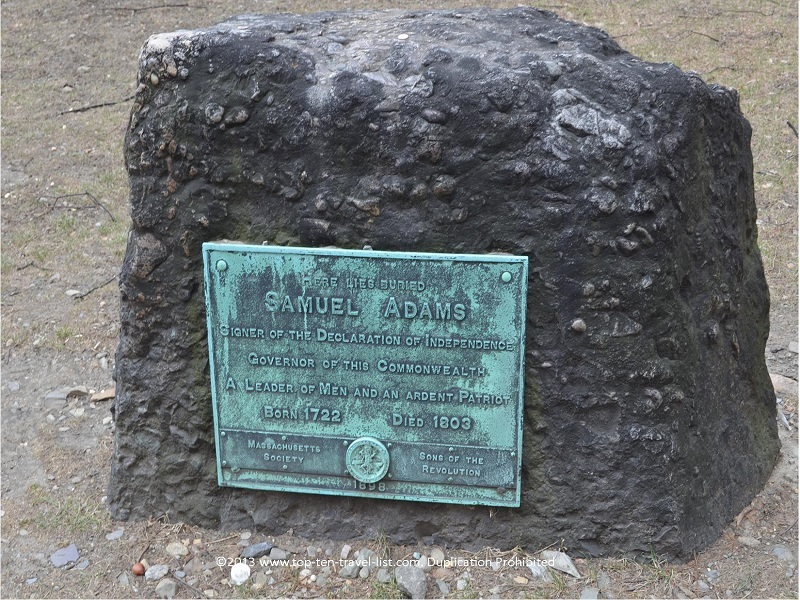 The path leads you through 16 of Boston’s most historically significant sights. No visit to Boston would be complete without taking the time to complete this informative, fun, & scenic trail. You will follow a brick pathway from the start in Boston Common to the finish at the USS Constitution in Charleston. We arrived in downtown Boston at 7:00 on Sunday morning. This was a wise choice as parking was easy to find and our pictures were not obstructed by large crowds. Although the day was chilly and windy, we enjoyed the peacefulness of walking around Boston without the normal crowds and congestion. 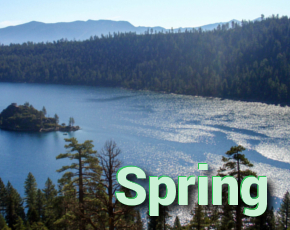 Below I have given an overview of the 16 sites you will encounter on the trail, along with a bit of information explaining the significance of each. 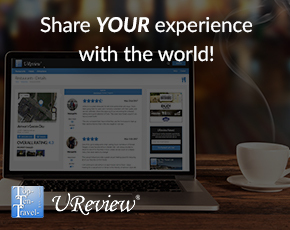 I hope you enjoy this virtual tour, however, it is by no means a replacement for taking the journey yourself! As with most tourist activities, there is a fee for the map. I have created a print out map of the trail that includes photos of each of the sites. Click the link below to download the PDF map to your computer then print it out so you don’t have to pay for one of less quality. 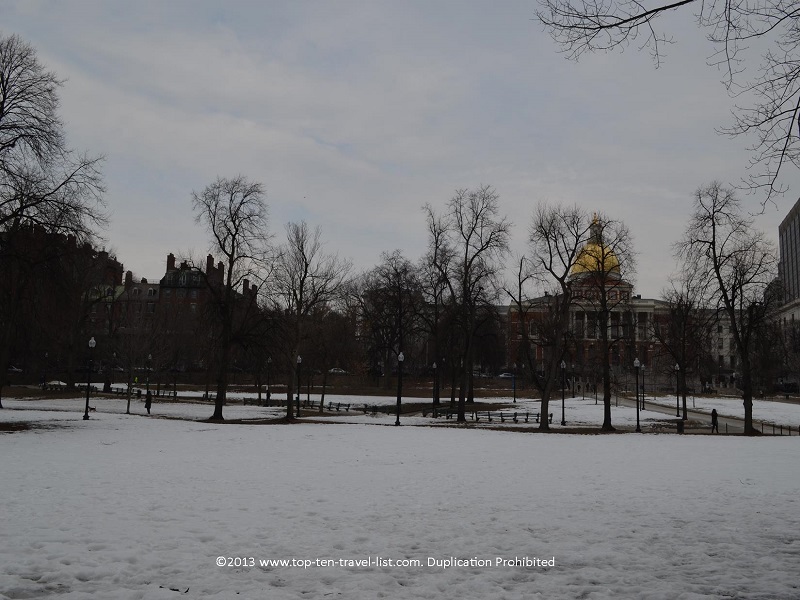 Boston Common, established in 1634, is the oldest urban park in the US. The beautiful 50 acre park has been used for numerous purposes over the years, ranging from hangings in the early 1800s to events (such as the annual Christmas tree lighting) today. Frog pond, one of the most popular features in the park, is transformed into a beautiful ice rink from November through March. 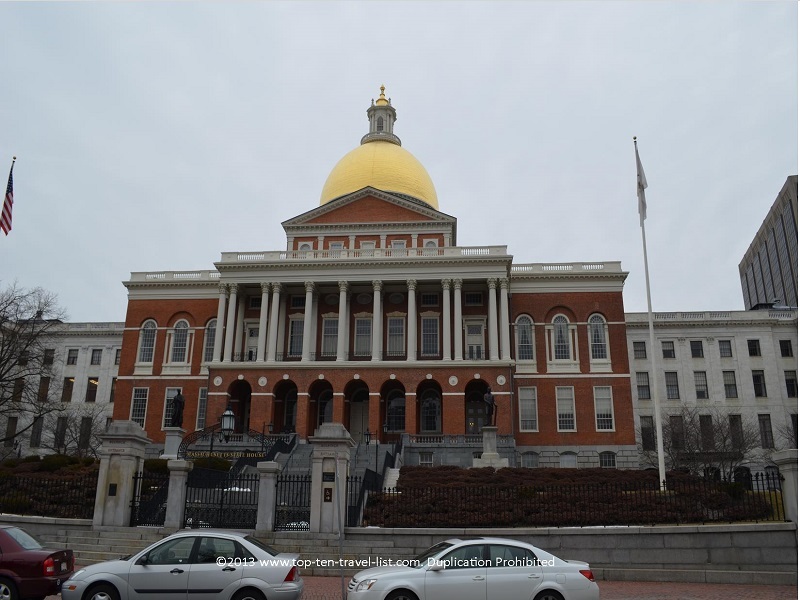 The Massachusetts State House, established in 1798, is home to the Massachusetts General Court and the Governor of Massachusetts offices. The building is located on top of Beacon Hill on 6+ acres of land. Great pictures can be obtained across the Street in Boston Common. 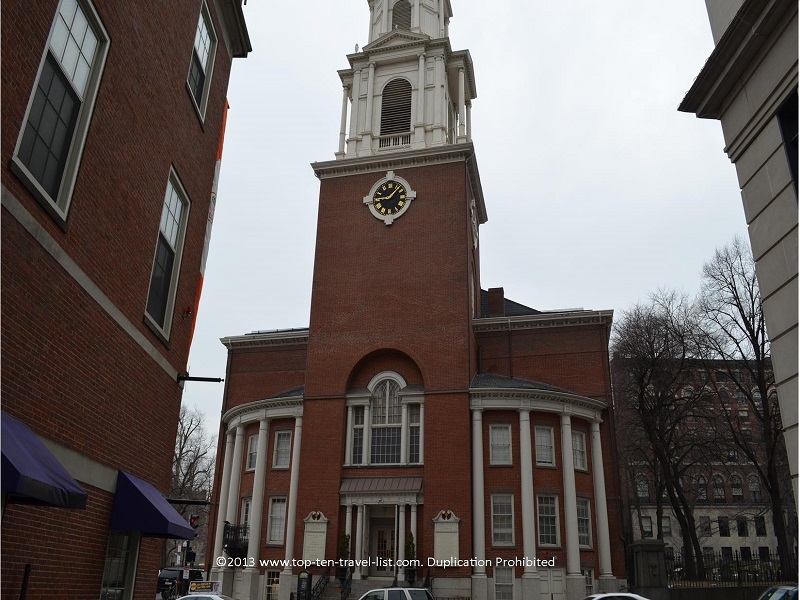 Park Street Church, established in 1809, still operates today. 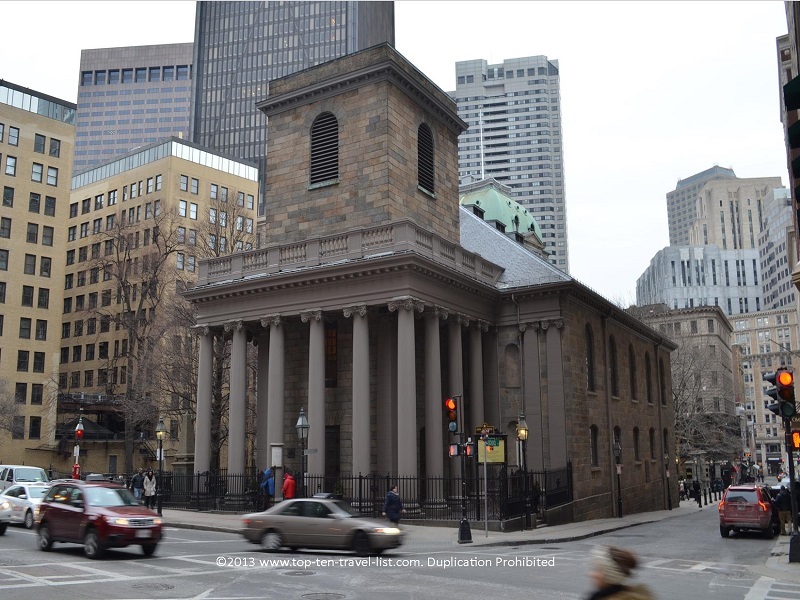 The church is location to the first Sunday School (1818) and first anti slavery speech by William Lloyd Garrison (1829). 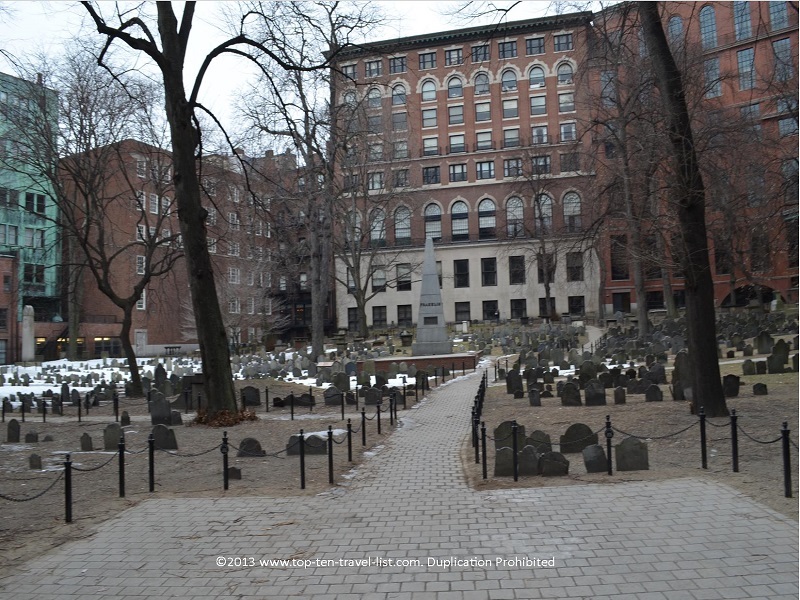 Old Granary Burial Ground, founded in 1660, is the 3rd oldest cemetery in Boston. 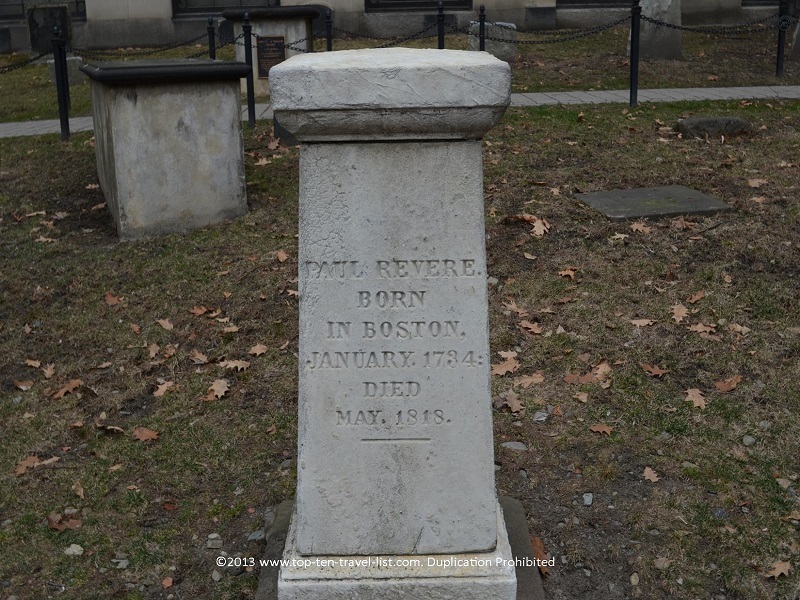 Here you will find the gravestones of many prominent historical figures, including: Paul Revere, Samuel Adams, and Peter Faneuil. King’s Chapel, built in 1688, is an active Ecumenical Church. The architecture inside is supposedly the finest example of Georgian church in the US. Legend goes that those waiting to be hung could say their last prayers in pew 13. 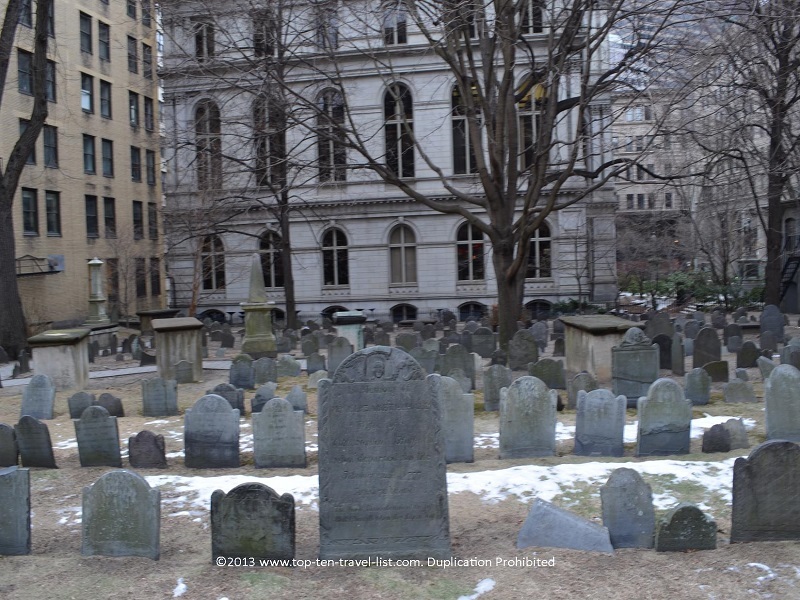 King’s Chapel Burying Ground, founded in 1630, is the oldest cemetery in Boston. 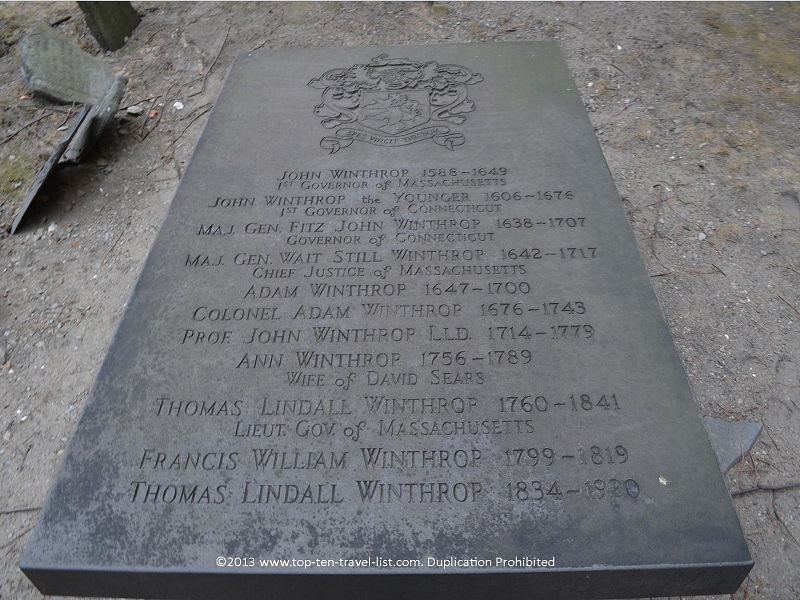 John Winthrop, the first Puritan Governor of Massachusetts is buried here.